Continuing the pitch-perfect critiques begun in The Great Movies, Roger Ebert's The Great Movies II collects 100 additional essays, each one of them a gem of critical appreciation and an amalgam of love, analysis, and history that will send readers back to films with a fresh set of eyes and renewed enthusiasmвЂ”or perhaps to an avid first-time viewing. 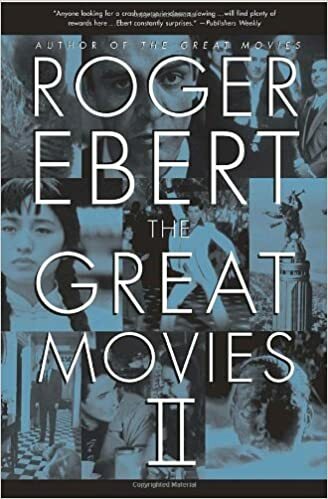 Neither a snob nor a shill, Ebert manages in these essays to combine a truly populist appreciation for today's most important form of popular art with a scholar's erudition and depth of knowledge and a sure aesthetic sense. Once again wonderfully enhanced by stills selected by Mary Corliss, former film curator at the Museum of Modern Art, The Great Movies II is a treasure trove for film lovers of all persuasions, an unrivaled guide for viewers, and a book to return to again and again.